Skye Gravestones | Donald & Mary (MacLeod) Gillies. 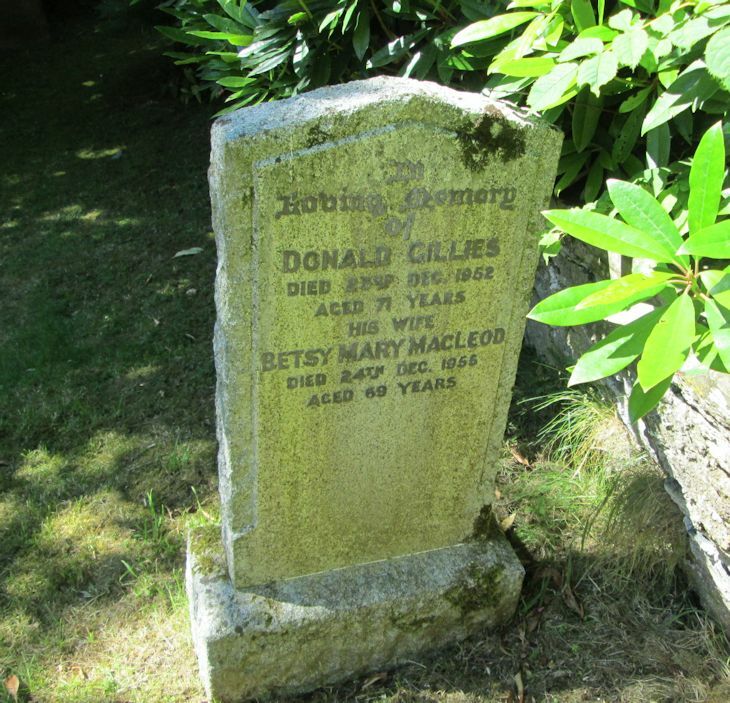 Donald & Mary (MacLeod) Gillies. In/loving memory/of/DONALD GILLIES/died 23rd Dec. 1952/his wife/BETSY MARY MacLEOD/died 24th Dec. 1955/aged 69 years.